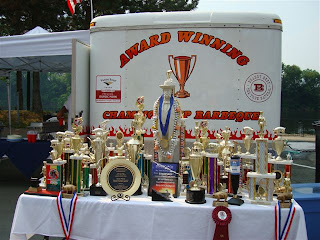 Well its Friday of the first holiday weekend of the summer, we are off to Rochester NY to compete in the Roc City Rib Fest, its a KCBS sanctioned contest on Sunday and a ribs only contest on Saturday. This is the first of seven NY contests this year, just three years ago there was only one! BBQ continues to grow and grow. bringing along both Chris Lillys and Adam Perry Langs books to review while the smokers are going overnight. watch for updates on twitter.